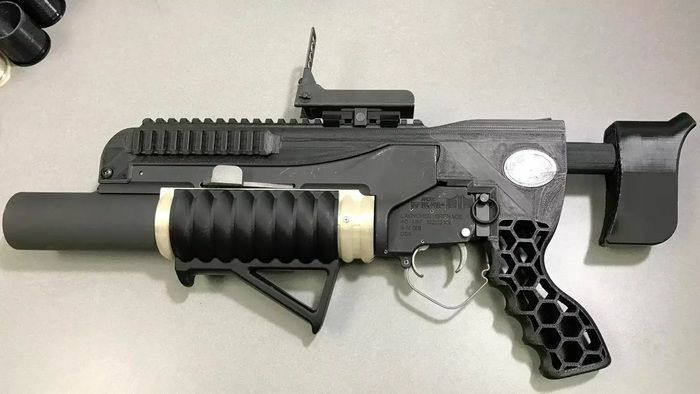 I have been thinking a lot about 3D printing in the defense sector lately as it seems that there is a confluence between defense administrators, defense suppliers, and new 3D printing hardware. While high performance 3D printed parts may capture the most attention and spending, it is probably logistics that will eventually be most impacted by the coming of 3D printing. RAMBO is pretty self explanatory but the profundity of this is not in the ability to make a weapon, those can already be assembled with scraps, with varying degrees of impact, but that highly complex supply lines and industrial bases which currently support troops in the field may not actually be necessary. If this is true than I think, as Vice Admiral Philip Collom pointed out, when 3D printing is widely available, problems and solutions will be created in the field by non specialist soldiers…. that will mean a lot more in 4GW where a guy, by himself, with nothing but commodity plastics and metal, in his apartment block can effectively kit out his neighbors by himself. If business 3D printing advances at a similar rate to consumer/desktop 3D printing. The implications for defense suppliers also seems to be significant as well since getting the most out of a single 3D printer is much easier than a traditional production line.